Material: Unprocessed 100% virgin human Hair.All hair are healthy young girl's hair. Weight: 95-105g/piece,we can also do as you like 120g,150g,ect. Length: 8"-30" in stock, other length can be available. Color: Natural Black,can be dyed any color by yourself.Other color can available such as #1/#2/#613ect. Features: No tangle, No shedding and No Nits,strong weft. MOQ: 2pcs can be ordered. 1. The products are smooth and soft with full cuticle. 2. You nerver find it tangling and shedding due to carefully machine-made. 3. 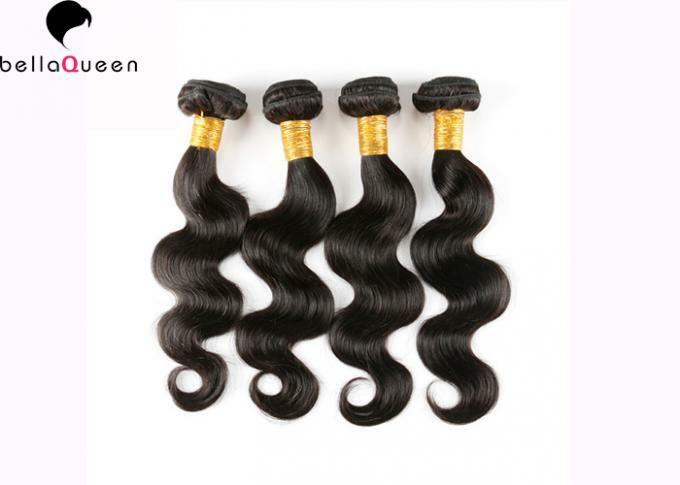 The hair is 100% virgin hair without animal and synthetic hair. 4. It can be bleached, dyed, ironed . 5. It will keep original texture after you washing the hair. 6. All of our hair have been disinfected and without any chemical processed and bad smell. Burning Test: Synthetic feels like viscous when it burns out. Human hiar feels like coke,turn into ash. Shedding Test: Mostohair offer good quality hair weaves with double weft,so there is no shedding. Tangle Test: Comb tthe hair end first,then middle,the top at last. 1.Fill a basic with cool or like warm water. 2.Add a dash of mild shampoo and swish gently. 3.Skake out do not brush when wet and drip dry. 4.Rinse thoroughly in cold water. 5.Brush into desired style after hair is completely dry. 6.Hang the hair with the wft open and dry it and curls holds well. 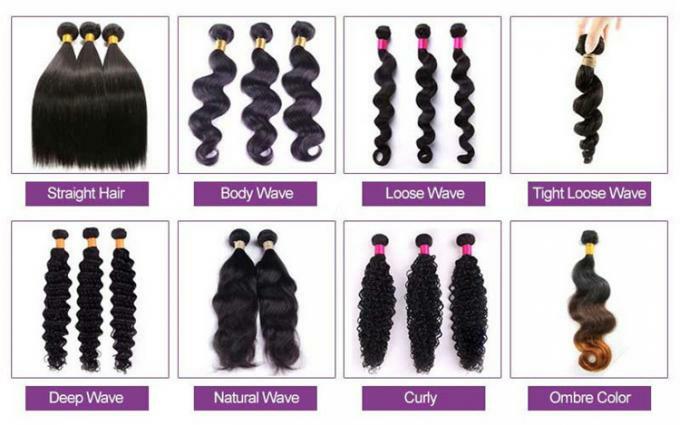 In order to meet the diverse requirements of customers,we launched a series of additional hairstyles such as body wave hair,curly wave hair, deep wave hair and so on,as follow. 1. All of Items in stock can be shipped with in 2 days if the order confirmed. 2. We accepted 7days refund without any reason. 3. We provide 24-hour online service and after sales service. 4. We also provide package service and OEM/ODM service. 5. We will sent a gift for a meaningful comb to every customer when purchasing hair from our factory. You may get hair in 2-4 days after you transfer the full payment.! Q2: Can my hair extensions be straightened, curled, dyed? it is easier to darken the hair than to lighten the hair. Q3: What types of hair care products should I use? A:Treat this hair extension as your own hair. 1.use good quality shampoo and hair conditioner to care the hair.It's important to keep it soft and shiny. 3.Olive oil will be good choice to keep the hair healthy.